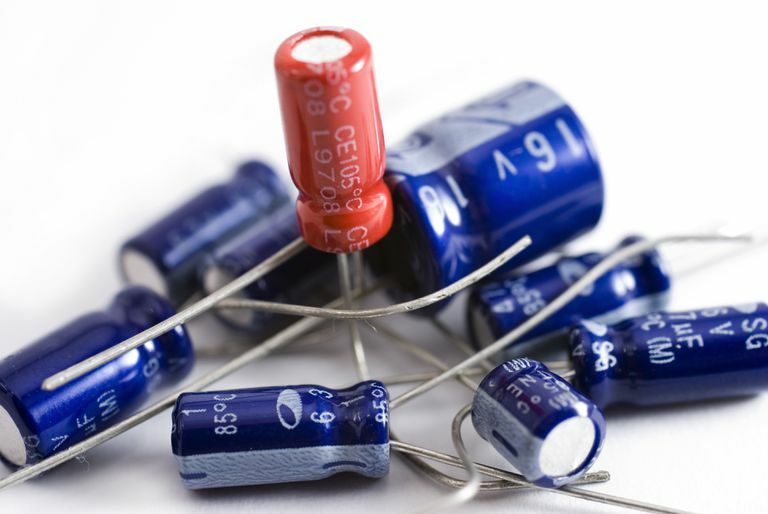 What Are the Applications of Capacitors? One of the most ubiquitous passive components used is the capacitor, found in nearly every electronic device ever made. Capacitors have a number of essential applications in circuit design, providing flexible filter options, noise reduction, power storage and sensing capabilities for designers. Capacitors play a critical role in the stable operation of digital electronics by protecting sensitive microchips from noise on the power signal which can cause anomalous behaviors. Capacitors used in this application are called decoupling capacitors and should be placed as close as possible to each microchip to be most effective, as all circuit traces act as antennas and will pick up noise from the surrounding environment. Decoupling and by-pass capacitors are also used in any area of a circuit to reduce the overall impact of electrical noise. Since capacitors have the ability to pass AC signals while blocking DC, they can be used to separate the AC and DC components of a signal. The value of the capacitor does not need to be precise or accurate for coupling, but it should be a high value as the reactance of the capacitor drives the performance in coupling applications. In circuits where a high inductance load is driven, such as a motor or transformer, large transient power spikes can occur as the energy stored in the inductive load is suddenly discharged which can damage components and contacts. Applying a capacitor can limit, or snub, the voltage spike across the circuit, making operation safer and the circuit more reliable. In lower power circuits, using a snubbing technique can be used to prevent spikes from creating undesirable radio frequency interference (RFI) which can cause anomalous behavior in circuits and cause difficulty in gaining product certification and approval. At their most basic, capacitors are effectively tiny batteries and offer unique energy storage capabilities beyond those of chemical reaction batteries. When lots of power is required in a short period of time, large capacitors and banks of capacitors are a superior option for many applications. Capacitor banks are used to store energy for applications such as pulsed lasers, radars, particle accelerators, and railguns. A common application of the pulsed power capacitor is in the flash on a disposable camera which is charged up then rapidly discharged through the flash, providing a large pulse of current. While resistors, capacitors, and inductors can be used to make filters, certain combinations can also result in resonance amplifying the input signal. These circuits are used to amplify signals at the resonant frequency, create high voltage from low voltage inputs, as oscillators, and as tuned filters. In resonant circuits, care must be taken to select components that can survive the voltages that the components see across them or they will quickly fail. Capacitive sensing has recently become a common feature in advanced consumer electronics devices, although capacitive sensors have been used for decades in a variety of applications for positions, humidity, fluid level, manufacturing quality control and acceleration. Capacitive sensing works by detecting a change in the capacitance of the local environment through a change in the dielectric, a change in the distance between the plates of the capacitor, or a change in the area of a capacitor. A few safety precautions should be taken with capacitors. As energy storage components, capacitors can store dangerous amounts of energy that can cause fatal electrical shocks and damage equipment even if the capacitor was disconnected from power for a considerable amount of time. For this reason, it is always a good idea to discharge capacitors before working on electrical equipment. Electrolytic capacitors are prone to fail violently under certain conditions, especially if the voltage on a polarized electrolytic capacitor is reversed. Capacitors used in high-power and high-voltage applications may also fail violently as the dielectric materials break down and vaporize. What Type of Resistor Do You Need?